Hoarding can create a dangerous environment ripe for bacteria to fester and where health and safety concerns can abound.Cleaning up a hoarder’s home is a serious task and can require specialized equipment, additional repair work and as cleanup proceeds, each and every layer of hoarded items can lead to new and dangerous issues.In situations where hoarding has been ongoing for years safety should be a priority. Unstable “collections” of hoarded items can make transversing through the space dangerous and unsafe for individuals.Mayken Hazmat has put together a series of articles explaining some of the dangers, how we deal with them and how we can help you if you need a hoarding house cleaned up.Mayken Hazmat also provides affordable cleanup services to help take a dangerous unsafe environment and return it back to it’s near original condition. This can include managing and overseeing repairs and disposal of items in a safe and secure manner. Hoarding can create a dangerous environment ripe for bacteria can fester and health concerns can abound. 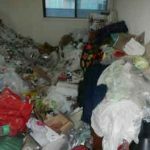 Cleaning up a hoarder's home is a serious task and can require specialized equipment, additional repair work and every layer of hoarded items can lead to new and dangerous issues. 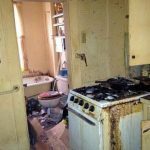 Mayken Hazmat has put together a series of articles explaining some of the dangers, how we deal with them and how we can help you if you need a hoarding house cleaned up.